Summer 2019, new rooms opening after renovation! 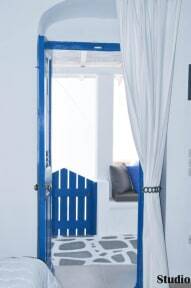 Eleanna's is situated in the heart of Mykonos Town amongst the white-washed houses, mere steps away from restaurants, bars, shopping areas and nightlife. Everything on hand and on your doorstep. No need to walk to the taxi station. All our Guestrooms are individually decorated. In room amenities include a hair-dryer, toiletries, fridge, tea/coffee maker. Some feature a fully equipped kitchenette. The Sea View suites offer an impressive view of the Aegean sea and of the town area. Some suites include a spacious private veranda with sitting areas. 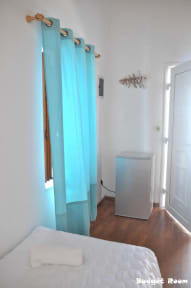 We also have a Budget Room to accommodate travellers on a tight budget which offers a communal bathroom. Guests love the location - they rated it 9,4. Free WiFi is provided. Eleanna's is 300 metres from the scenic Little Venice, 400 metres from Mykonos Windmills and 900 metres from Mykonos Old Port. Mykonos Airport is 2 km away. 3 Minutes by taxi.